Liverpool, one of the most vibrant cities in the United Kingdom, can be found in the Merseyside region. Use your hire car Liverpool through HAPPYCAR, with options for pick up at the Liverpool Airport. 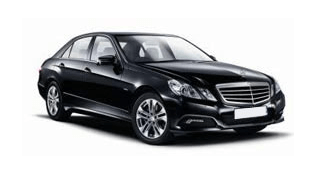 Having a hire car Liverpool gives you the freedom to explore this fascinating city as well has having the opportunity to take in the neighboring cities and towns without being stuck to the restricting time schedules of public transportation. The area where the city is found was originally founded as a borough in the beginning of the 1200's. Thanks to its location, having a port, and the increase in trade from around the globe saw the industrialization and urbanization of Liverpool and in 1880 it was granted city status. Since then, the city has been one of the UK's leaders in culture, multiculturalism being home to the oldest African and Chinese community in the country, and sport, boasting two top league teams. Its most famous export has to be the Beatles, one of the most famous bands in the world, who got their big break in Hamburg, Germany. In 2008, Liverpool was named a European capital of culture and nowadays the city has a population of just under half a million yet remains a favorite for visitors of the UK. St. Georges Hall was built in 1854 as a law court and a concert hall, it is probably one of the finest buildings in the city, and is definitely worth a visit. On the outside you can also spot some beautiful murals. Today the building serves as a sort of all-purpose center, hosting gigs and concerts, and is the center piece of any celebration for the city. The Albert Dock is a must see when visiting this historical port city. Liverpool’s most visited and probably most famous attraction, the docks contain the largest collection of Grade l listed buildings in the whole country, as well now being a UNESCO World Heritage Site. The area is 2.75 acres of water surrounded by large cast iron columns and one can see the stunning old warehouses which have now been turned into restaurants and cafes where you can sit and relax. There are also a few museums in the area which are well worth a visit. The International Slavery Museum opened in 2007 and found on the Albert Dock in the same building that houses the Merseyside Maritime Museum and the UK Border Agency. The museums projects the horror of slavery and the role that Liverpool played in the slave trade, through personal experiences, including the captain's diary and ship log on display these offer an insight into the life of slaves on the ship. World Museum Liverpool founded in 1851, is one of the finest museums in the city and offers visitors so much to see and do. The museum houses a large collection of exhibits relating to natural history, science and technology which are divided into four sections, the human world, the natural world, which has an impressive collection of insects on display, Earth and a section dedicated to time and space, which includes a planetarium. Having a hire car Liverpool gives you the freedom to get out of the city and take in the neighboring cities and towns, including Chester. It is a very historic city that is less than an hour’s drive with your hire car Liverpool, the city still has its old roman walls and is a great place for shopping or just spending a day chilling round the city. Wales is also within each, only a short drive to the west with your rental car Liverpool will get you to the lovely North Walian coast, visit the seaside resort towns of Llandudno, Prestatyn or visit the picturesque towns of Conwy and Caernarfon. Further south you can also enjoy the comforts of the Welsh capital, Cardiff. Let the online comparison portal HAPPYCAR help you choose your car hire that fits your specific rental needs.